Here at AC Silver we adore the most wonderful time of the year! With the festive season approaching fast, we think it’s time to begin looking for some perfect gifts to treat your loved ones with this year. We have compiled a comprehensive collection of our best and brightest; our most interesting and covetable pieces of antique and vintage silverware and jewellery for you to peruse. Hopefully you’ll find some inspiration for the season of gift giving! 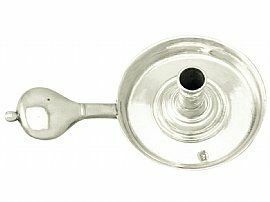 This outstanding sterling silver drinking compendium from the Edwardian era is wonderful gift for any gentleman. This compendium features a water jug, quart jug and a pint mug. These make fantastic gifts for any beer enthusiasts in your life and it is also possible to add personal engraving. 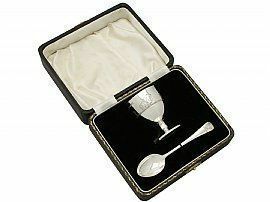 Often, antique silverware already has an inscription or engraving added by its original owners, but this one has been left blank, allowing the rare opportunity to purchase a set of Edwardian silver and have it personally engraved for your loved one. 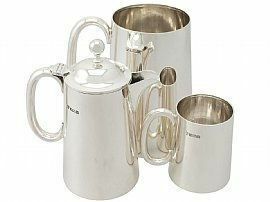 This set would make a perfect gift as it could be lovingly be passed down generations, becoming an instant family heirloom! This antique Victorian travelling clock is an incredibly rare and stunning example of Victorian craftsmanship within a timepiece. The item is incredibly handsome, and would perfectly suit any work space or lounge area. It is also perfect to take with you travelling and has its own compass. Pieces such as these were used by Victorian high society and businessmen while travelling by carriage across country. This stunning timepiece is evocative of its era and purpose. 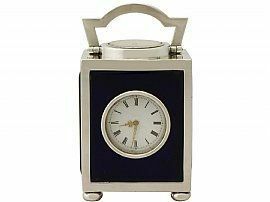 This antique travelling clock would make a wonderful gift for a gentleman of any age and taste. It is sure to spark a lot of interest due to its exceptional provenance and history. 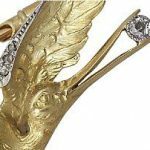 This delicate yet masculine pin brooch is incredibly fashionable. The fact that this piece is vintage 9ct gold gives it even more prestige, and it is a truly unique gift for any man who love to dress sharply and add a little touch of class to their suits. At AC Silver, we have noticed that more and more gentlemen are choosing Christmas as the perfect time to propose. 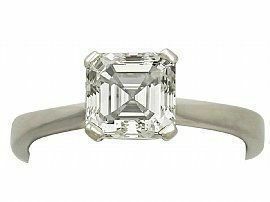 We would be remiss to fail to provide you with selection of pieces from our vast diamond ring collection, for you to browse and enjoy. 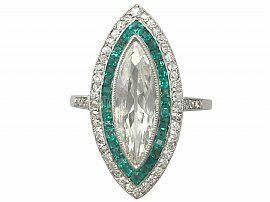 These diamond engagement rings are easily wonderful enough to be a Christmas gift in themselves! We have curated three of the most stunning and popular styles for you to consider. 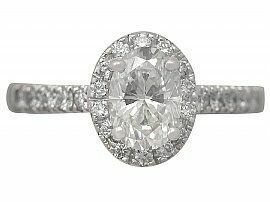 However, please head to the ‘diamond ring’ section of our site, to see the true breadth of antique and vintage diamond rings we have on offer. 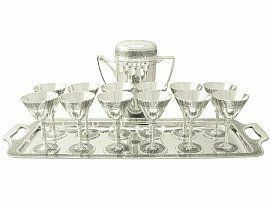 This fantastic cocktail set is a true showpiece. It was made by the esteemed luxury house of Tiffany’s, and is therefore sure to increase in value over time. If she’s ever mentioned the film breakfast at Tiffany’s, then this antique 1930’s cocktail set is sure to transform her into Miss Holly Golightly herself. This set could be saved for special occasions or simply used as a magnificent display. 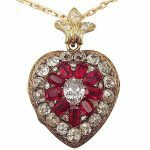 This stunning necklace is truly a one of a kind piece. 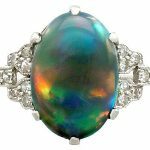 It is festooned with brilliant, vivid opals which are accented by diamonds. This necklace is one of our most show stopping items, and is even more vibrant in person, as is often the case with natural opals. This antique Victorian opal and diamond necklace would make the perfect Christmas gift for your beloved; the style is timeless enough to please women of any age or taste. This gift is sure to elicit screams of delight as it is unwrapped on Christmas morning! 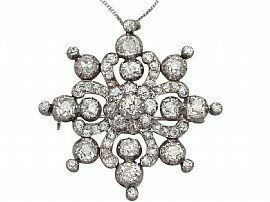 For an extra added flourish – this necklace is presented in its original presentation box, which is an incredible rarity in antique items such as this. 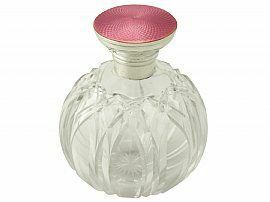 This delightful antique scent bottle fashioned in attractive light pink guilloche enamel and cut glass makes for a wonderful gift for any woman. Whether it will be used to contain her favourite scent and take pride of place on her vanity table, or simply as a pleasing ornament, this delicate antique scent bottle will be a cherished gift which feels personal and precious. This fine quart mug makes a wonderful gift for any father and is sure to provoke a smile, especially if he is a fan of beer! Regardless of his drinking preferences, this piece is a wonderful example of antique Georgian silverware, and is in presentation condition. Your father could proudly choose to keep this antique sterling silver quart mug pride of place! The quart mug is in astonishing condition for its age, and is certain to escalate in value over time. This is a fantastic gift for a masculine chap, who appreciates fine craftsmanship and the history behind antique silverware. For the man who has everything- and possibly already owns a watch which is so extravagant that he never wears it- how about this beautiful vintage Rolex with leather strap? It is an incredibly handsome yet practical, prestigious timepiece. 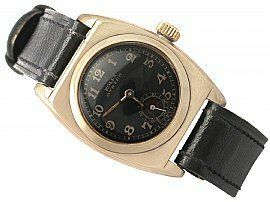 This 1940s Rolex is a fantastic gift for any man no matter his age or taste. It has been created in such a timeless style that it will please even the greatest Rolex aficionado. Cufflinks are recognised as a classic gift choice for any gentleman, so be sure to choose the most stylish set possible! 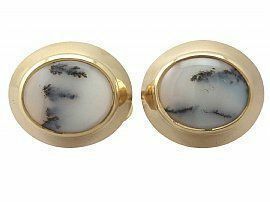 Crafted in 18ct Gold and ornamented with moss agate, these cufflinks appear marbled, which adds a trendy twist to this traditional gift. These cufflinks are truly unique and unlike any others that we have come across. Here at AC Silver, we know that Mum deserves a particularly special Christmas gift! This particular brooch is incredibly festive, whilst also containing an astonishing number of diamonds. This is a piece fit for a queen, and if you feel that’s what your mother deserves this Christmas, then look no further! This stunning Victorian brooch is an antique which is worth its weight in diamonds (literally- a whopping 8.12 carats!). It will continue to give a great deal of pleasure to any wearer and owner for a lifetime. If your Mother is the type with refined, classic style, then why not buy her a stunning cocktail watch? A diamond cocktail watch is the essence of sophistication and glamour, and a piece which will be cherished. 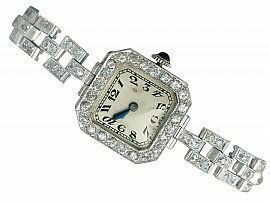 This vintage diamond cocktail watch is available to our customers in its original presentation box, which adds to wonder of the gift. This set is a classic gift to give any mother, as pearls are considered to be a timeless item of jewellery. This matching set is decorated with wonderful contemporary diamonds, so as to bring the set up to date, in keeping with more minimalist tastes. 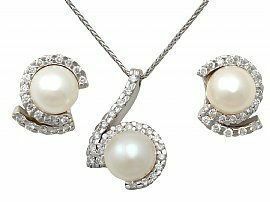 If your mother already owns a full set of traditional pearls, this is a fabulous alternative pendant which is more suited to everyday wear, and the earrings can be worn separately with other pieces. A classic watch would make a fantastic gift for any young man making his way in the world. This Vintage 1960’s Rolex Perpetual Air King model is the finest example of its type that we have found at AC Silver. This timepiece is an item which will be treasured for a lifetime, and the unmatched reputation of Rolex will mean that this piece will only increase in value. This gift will be appreciated for its extraordinary rarity and worth and- an added benefit of purchasing a fully serviced vintage watch- none of his peers will have a piece quite as special as this! 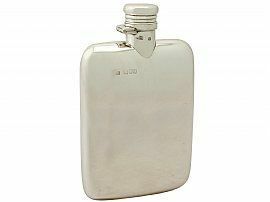 This hip flask is effortlessly stylish and owning a sterling silver Victorian hip flask is really something to shout about! This would make the perfect gift for any young man who is coming of age, or a man who enjoys a fine tipple now and again! Signet rings have become incredibly popular again, particularly antique pieces featuring semi-precious gemstones. 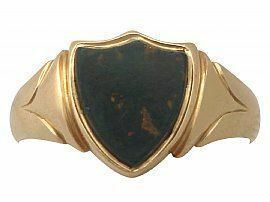 The stone used in this antique Edwardian signet ring is bloodstone, which is traditionally incorporated in men’s jewellery. It helps the piece retain a masculine look while also enhancing the piece with a little colour and interest. 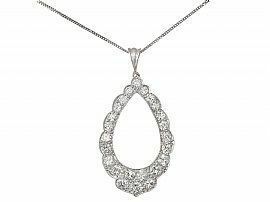 We would recommend a stunning diamond pendant as an investment piece for a daughter. This is one of our most stunning examples within our large collection. The pendant is antique circa 1910, and yet fits perfectly with modern styles. The diamonds are a very high colour grade, and this necklace is sure to be kept and treasured for a lifetime. The abundance of diamonds featured means that this piece is an investment which will continue to increase in value. Our choice of luxury gift for a daughter has to be one our most spectacular pairs of earrings. 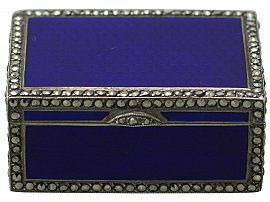 In a splendid art deco style and still dazzling in their original presentation box, they are a highly desirable set. 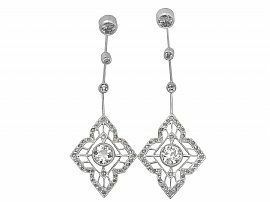 Any woman would be elated to receive these stunning drop earrings a gift on Christmas day- or any day of the year for that matter! 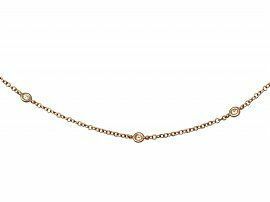 This necklace is an especially beautiful and subtle piece. Whilst still featuring precious diamonds dappled throughout the fine chain, it is very much an everyday piece. This chain will sit well with other pieces, but it also looks fantastic on its own as an understated hint of sophistication and elegance. 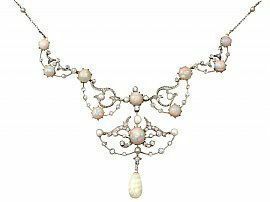 Although we have suggested this vintage Italian necklace as a perfect gift for a daughter, truthfully any woman of any age would cherish this gift. 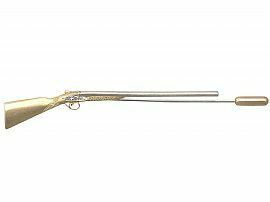 This miniature Georgian chamberstick is a wonderfully charming antique. 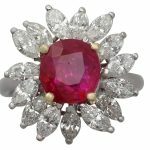 It is also sure to continue to increase in value, given its provenance and the unusual but appealing nature of the item. Whether this miniature antique silverware will be used as a piece to play with or not is up to you, but it would look magnificent on display as part of the décor in a child’s bedroom. This miniature music box is a spectacular antique piece which is quite unlike anything else we’ve ever found here at AC silver. It is not only a fully functioning music box but it features delightful enamel decoration with marcasite accents and is stunning as a display item or as a precious toy that can be enjoyed and cherished for a lifetime. Our delicate egg cup and spoon is a wonderfully traditional gift to give to any child, especially the newest addition to the family! This set is also offered in its original presentation box, which adds to its value as a superb gift to give to an infant. Or perhaps to their parents as a delightful keepsake. We hope that this Christmas gifts 2016 guide has been illumining and inspiring, giving you some truly special and precious gift ideas for all of your loved ones. We know that gift giving is not all about spending money, but rather the thought behind choosing the perfect gifts for the people you care for. Here at AC Silver we want to wish all of our customers, old and new, the happiest of holidays, the merriest of Christmases and the jolliest festive season possible! Next Entry: What is a Jardinière?